Hi all…long time lurker, first time poster (in this sub). 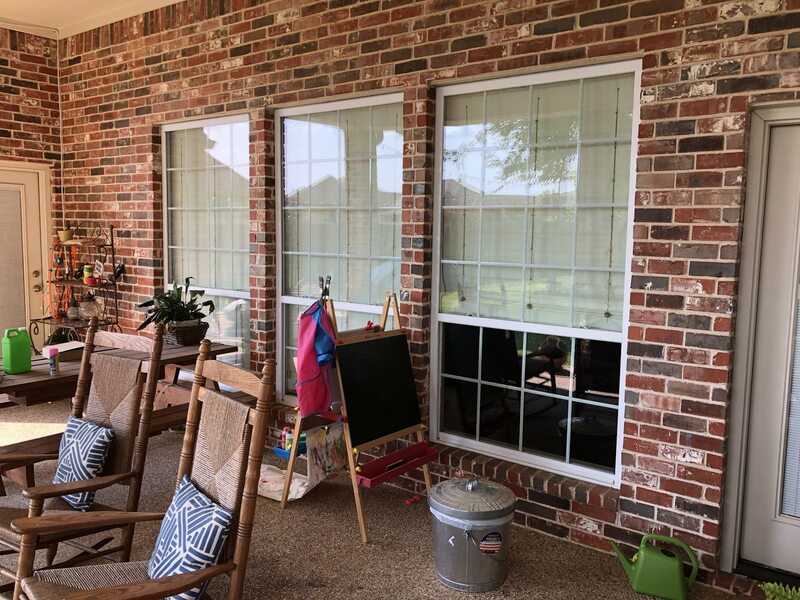 Anyhow, I have three windows in my living room that get a lot of sun, and in this brutal Texas summer, that translates to a lot of heat transfer. 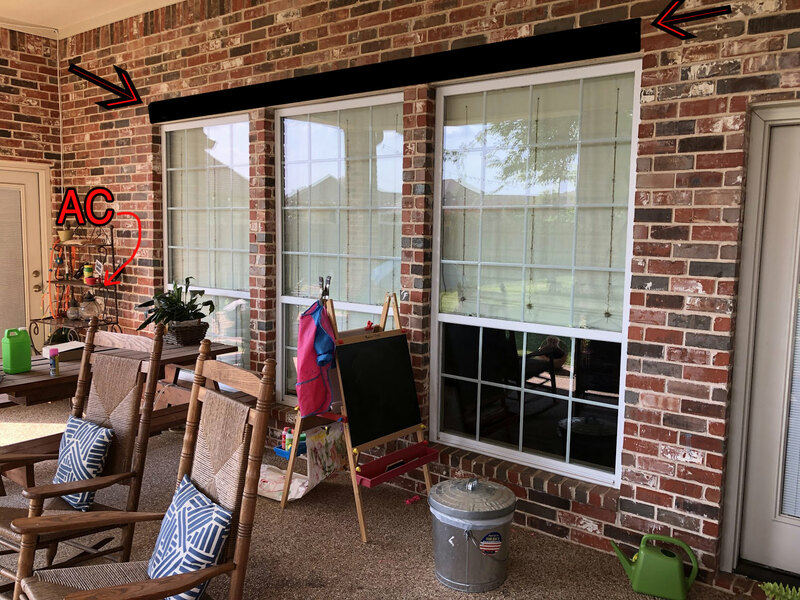 My shades are a PITA to roll up with the draw string, and I’d love to automate a solution but keep things relatively inexpensive. I am not above some fairly inelegant solutions so long as it accomplishes my goal. This is what the windows look from the inside. These shades are pretty heavy. When you let draw them up, you then wrap the cord around what looks like a mini-boat cleat on the center columns of the wall. [Here’s is my initial thought on a potential solution.] 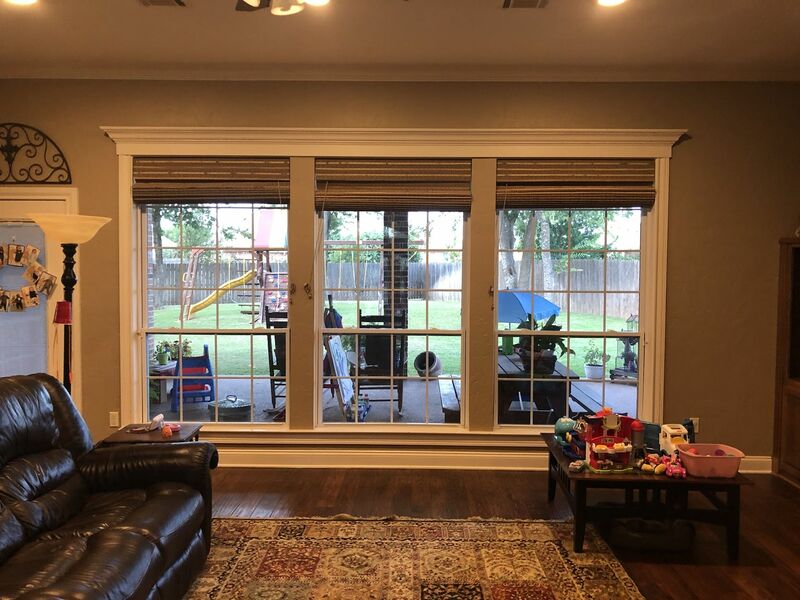 (https://i.imgur.com/yicfb8k.jpg) My thought…could I build I box that I would mount above the window, wherein a dowel/rod is inside with a canvas type material wrapped around it, that could roll/unroll to block the windows from the outside. Preferably doing this via a small motor that I could set with a timer, and even more preferably, with IFTTT. I do have access to an outdoor outlet in the bottom left hand corner if need be.